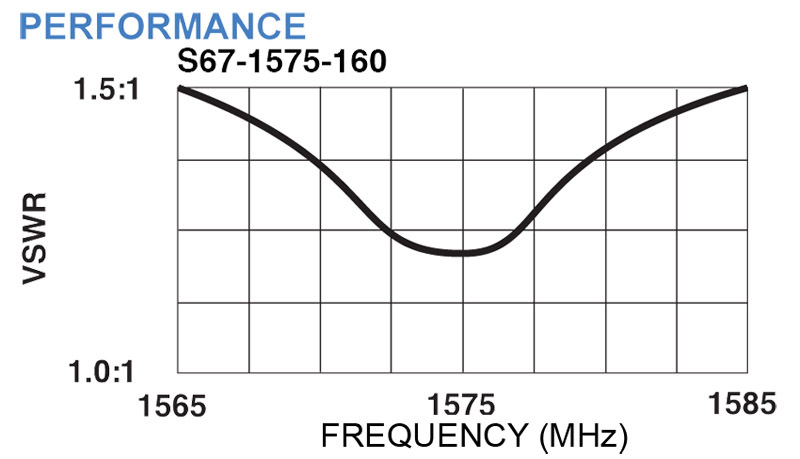 S67-1575-160: Low-profile, dual-band antenna features a GPS WAAS LPV antenna element and a 29.5 dB amplifier combined with a passive Iridium element. 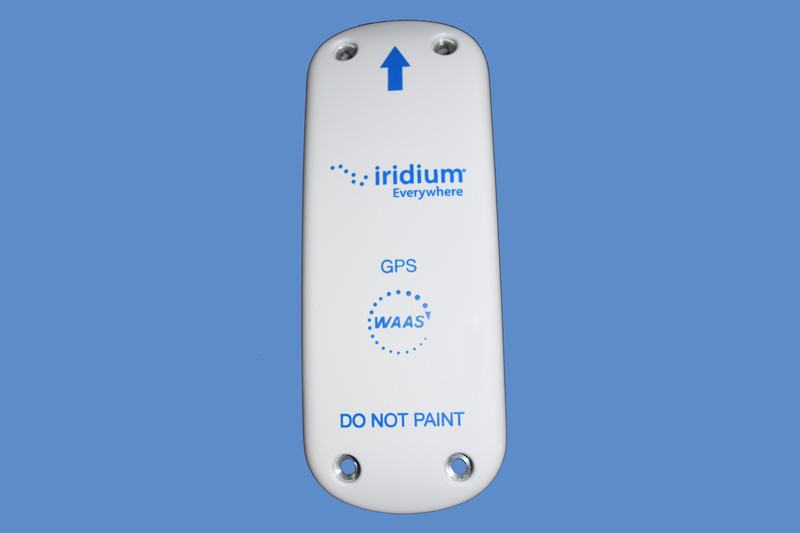 The dual element design simplifies installation when GPS WAAS LPV receivers are required and Iridium voice and data are also utilized. The advanced radome design and material provides superior protection against lightning, rain and ice. The unit is DC-grounded and hermetically sealed. 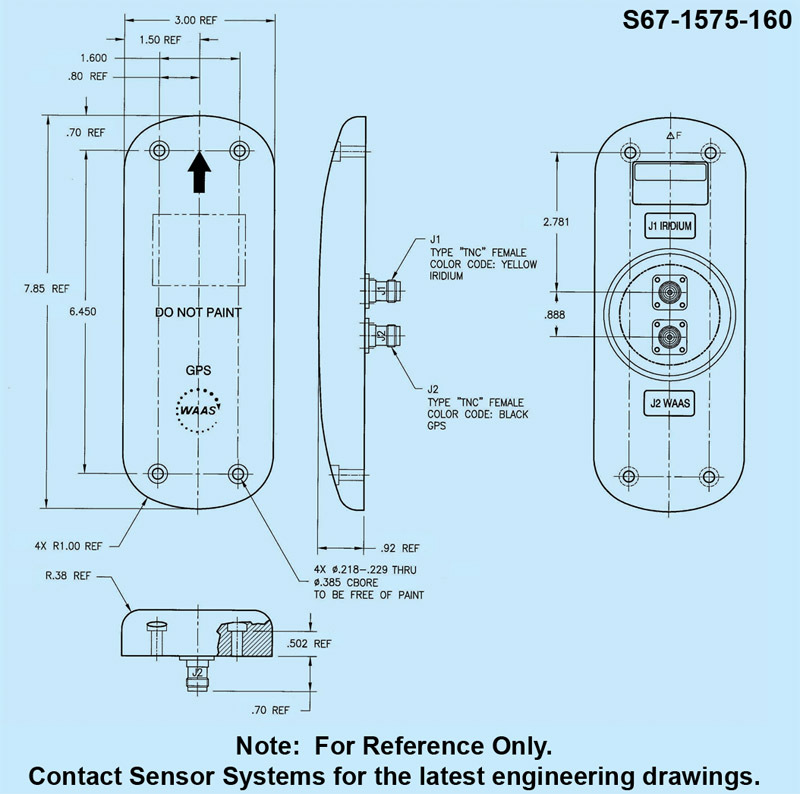 The S67-1575-160 is approved as Iridium Compatible Equipment (ICE) and is TSO C190 certified. 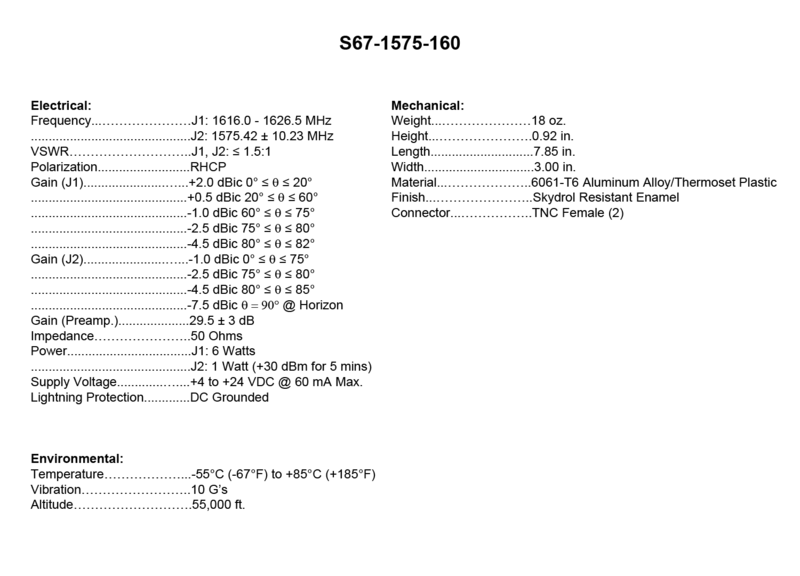 FEDERAL & MILITARY SPECS: FAA TSO-C190, C144, C129a &C159a, DO-160, DO-301, DO-262a, MIL-HDBK-5400, MIL-STD-810.